Peulot erev (evening activities) are some of Yavneh campers’ most favorite times; especially the ones that their own roshei aydah (unit heads) and madrichim (counselors) plan for specifically for them. 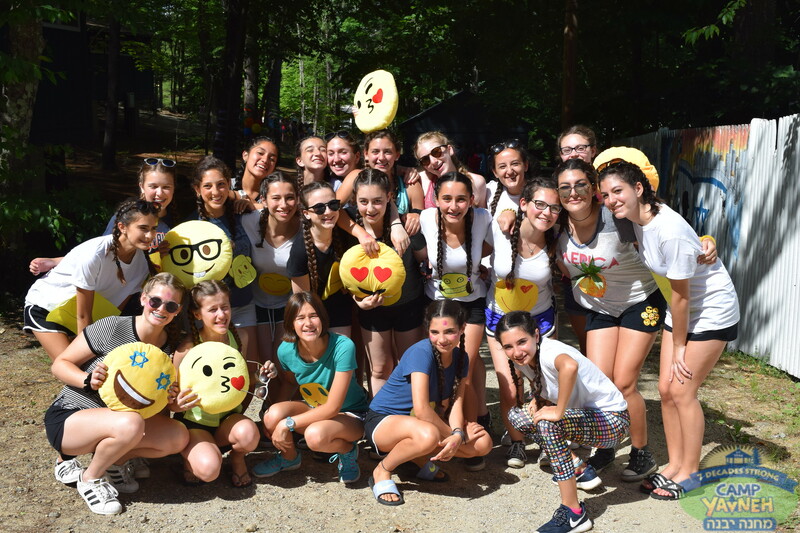 Each and every l’fi aydah (aydah programs) and l’fi tzrif (bunk programs) take on own their own unique flavor including theme, dress and activity, and ultimately memories that last a lifetime. Examples of l’fi aydah include Glow Capture the Flag, Machane-Mania, Sumo Wrestling, Erev Flannel, Erev High School, Erev Survivor, Amazing Race, Erev Hipster, Erev Paint, Erev Superhero and Night at the Oscars. Examples of l’fi tzrif are Israeli Top Chef, Erev Spy, Cake Boss, Minute To Win It, Erev Zen, Water Fountain Tag, Erev Pre-School, Erev Gladiator, Fantasy Larping and Erev Zombie.